Brianna Pecsok completed the inaugural year of the Cincinnati Fellow in Israel program in July. 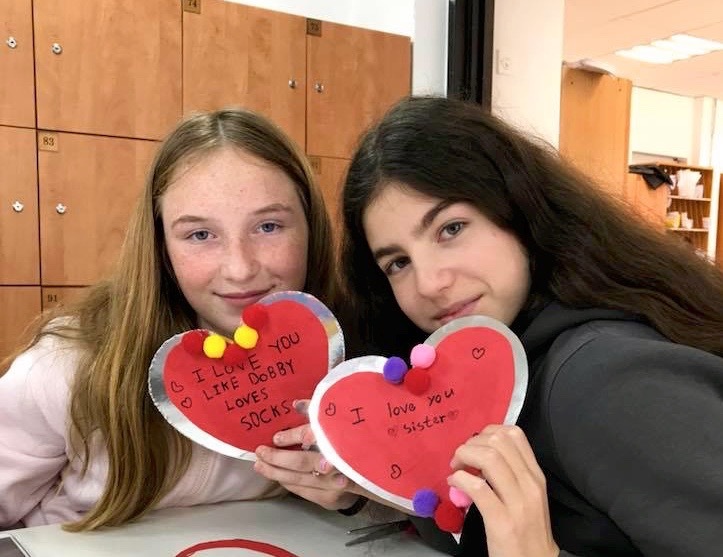 She taught American Judaism and culture to Israelis living in Netanya, including lessons on US holidays like Valentine’s Day. It’s hard to believe that it’s been almost a year since I took my first step on this journey as the Cincy Fellow in Israel. It’s been a whirlwind of a year filled with exceptional successes as well as challenges. I’ve been thinking about this question as I reflect on the past year. Through Partnership2Gether (P2G), about 450 Jewish and Israeli communities are connected through 46 city-to-city and region-to-region partnerships, including Cincinnati and Netanya. Each partnership has unique programs and makes people-to-people encounters, creating meaningful relationships and connections. Success begins with a program but is measured with the laughter, the hugs, the tears, and the shared experiences of the people involved. With the car rides, the walks on the beach, the Kiddush (blessing) over the wine before an incredible feast. With the excitement you feel when you see someone you know on the street. With the weddings, b’nai mitzvoth (bar and bat mitzvah), and the funerals. With the people whose homes have become your home. With the discovery that you have so much in common. Since the Cincy Fellow program was new this year, there were no benchmarks for success. Everything I did was new. I had to embrace feeling comfortable being in a place that wasn’t accustomed to me—or anyone like me. The program is creating a buzz among other Jewish communities in the United States. Cincinnati was the first to take the success of the ShinShin or Chaverim program and do the reverse—bring American culture to Israel and make so many more connections. Leading the way for other American Jewish communities to create similar programs in their partnership cities in Israel is a huge success. Outside of school, I connected with a group of students through the matnas (Israeli JCC) who are going to London this summer. After my first lesson, I asked if I could come back for other meetings just to connect. Later in the year, they invited me to teach again—a wonderful lesson about leadership and gratitude. This strengthened P2G’s connection with the matnas, and recently, the students that are headed to London had a “speed-friending” session with the Onward Israel interns from Cincinnati. In her free time, Cincy Fellow Brianna Pecsok enjoyed acroyoga, another way to connect with the people of Netanya. ICincy Fellow Brianna Pecsok taught her 7th grade students about the United States, including the geography of the country. 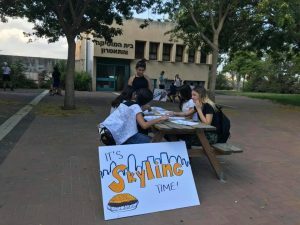 As part —of the Israel Teaching Fellows Masa program, Cincy Fellow Brianna Pecsok organized an English Day, where students practiced their English speaking skills. For her class, Brianna created stations related to Cincinnati symbols. 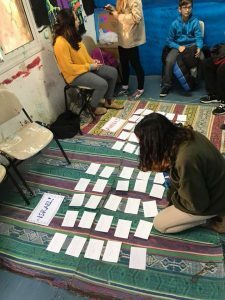 Cincy Fellow Brianna Pecsok created lessons for school and other groups to introduce American Jewry to Israelis living in Netanya. In these moments, I realized that teaching about this subject requires time and patience. This is not the kind of work that will be finished after one lesson—or one year. The subject is sensitive and personal, and there’s much more work to be done before some students will be open to considering a different way to express Judaism than their own. Although my year as the Cincy Fellow is over, I am excited to pass on the reins to my good friend Shelly Zeiser. I know she is going to continue to push the needle on Jewish pluralism and deepen our relationships with the Netanya community. I look forward to hearing about her successes next summer.